Thousands of homeless people like Jerry Gross could benefit from Iowa's Medicaid expansion under the Affordable Care Act. Jerry Gross enthusiastically darted to the front of the line. This tall 56-year-old carries just a duffle bag and his winter coat. He arrived in Des Moines in early December. He says when he can't find a job in one town, he hitchhikes until he can find work. But he's uninsured, and taking care of his health is always tough. "I take three different water pills for hypertension. I've got like 10 more days of that left, and after that what do you do?" he says. When the federal Affordable Care Act called for states to expand Medicaid programs to cover people like Gross, Iowa Republican Gov. Terry Branstad refused. He said he feared the federal government wouldn't come through on its promise to fund the expansion to include childless adults. Iowa was one of many states that initially refused all or part of the federal funds offered. "We're not just one of those states that said, 'Oh yeah, we'll take the federal money.' No. We said 'no,' " Branstad said during a recent news conference. Eventually Branstad said "yes," but only if Iowa could take the money on its own terms. The state legislature, which is evenly split between Republicans and Democrats, came up with an alternative: Federal expansion dollars would pay for managed care policies that poor people would select on the HealthCare.gov site. Iowa's plan also provides incentives for people on Medicaid to monitor their health. Branstad calls it having "skin in the game." Iowa is one of a handful of states that negotiated or are negotiating with the federal government to customize their Medicaid expansion and still get federal funding. Branstad notes that "other states, like Tennessee and Pennsylvania, are looking at our plan." 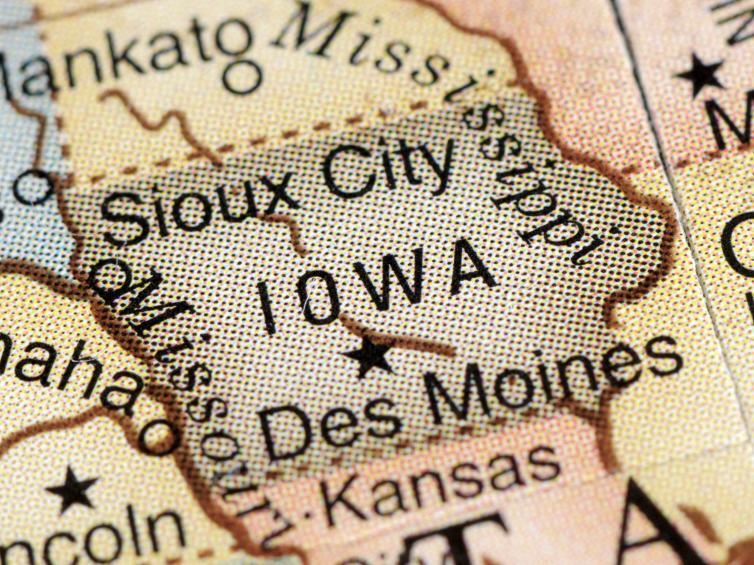 The federal Department of Health and Human Services' decision to grant Iowa a waiver to try this idea is not surprising, says Joan Alker, executive director at the Georgetown University's Center for Children and Families, a policy research center. She says that the Obama administration "is willing to bend over backwards to get to 'yes,' " to show Republican governors how much flexibility they have in experimenting with Medicaid expansion in their states. But "there are some lines they can't and will not cross," Alker says. While Iowa beneficiaries have to pay something for premiums and non-emergency care, recipients "can't be disenrolled if they're unable to pay those premiums," she says. "That's important, because we already have plenty of evidence to suggest that charging premiums to people below [the] poverty [line] will mean that they can't afford them and they're likely to lose their coverage." Alker worries that the Iowa plan's limitation on benefits for non-emergency medical transportation, which is included in coverage in other states, could have repercussions. "They're covered for emergency transportation. They're going to get that ambulance to get to the hospital. But we want to make sure folks are able to get their preventative and primary care appointments," Alker says. "When you're talking about people who literally could have limited or no income, that becomes a real barrier." People are already signing up, so that they'll be enrolled in Medicaid in Iowa beginning Jan. 1. Copyright 2014 Iowa Public Radio. To see more, visit http://www.iowapublicradio.org. Under the Affordable Care Act, many states have accepted federal dollars to expand Medicaid. But it's a different story in states with Republican governors. Some have said no outright. But some are also coming up plans to use the new Medicaid money while also writing their own rules. Federal authorities recently approved most of Iowa's alternative proposal and other Republican governors are taking note, as Iowa Public Radio's Clay Masters reports. 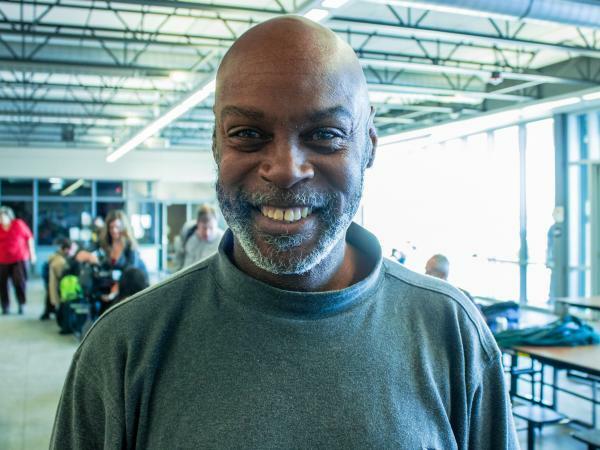 CLAY MASTERS, BYLINE: For the last year, Central Iowa Shelter and Services in Des Moines has been chockfull of residents. At night, its 209 beds are full, as are dozens of chairs. On this day, healthcare navigator Andrea Pearce stands in a crowded dining hall and shouts instructions on how residents can get signed up for health insurance. ANDREA PEARCE: If you do not have insurance and you want to enroll and you have an email address where you know the password to, come to the computer lab. We will guide you through the application. MASTERS: Jerry Gross enthusiastically darts to the front of the line. This tall 56-year-old carries a duffle bag, his winter coat. He arrived in Des Moines just a few weeks ago. He says when he can't find a job in one town, he hitchhikes until he can find work, but healthcare is always a burden. JERRY GROSS: I've got like 10 days of meds left. I take three different water pills for hypertension. And I've got, like, 10 more days of that left. And after that what do you do? MASTERS: Gross has no income right now. He's well below the poverty line. Iowa's Republican Governor Terry Branstad was adamant he would not expand Medicaid to cover people like Gross because he feared the feds would not come through on the promise to fund most of the expansion. GOVERNOR TERRY BRANSTAD: We're not just one of those states that just said, oh yeah, we'll take the federal money. No. We said no. MASTERS: But eventually he said yes, if Iowa could take the money on what he says are its own terms. The state legislature eventually came up with an alternative that proposed using expansion dollars to buy Medicaid recipients insurance through the exchange and asks some recipients to pay premiums. It also provides incentives for recipients to monitor their health. BRANSTAD: We think this is a different plan. Other states, like Tennessee and Pennsylvania and many others, are looking at our plan. And obviously, each state has to make the decision they think makes the most sense for them. MASTERS: Recently, the Feds approved some of, but not all of, the Iowa plan. JOAN ALKER: The Obama administration is willing to bend over backwards to get to yes. MASTERS: That's Joan Alker. She's the executive director at the Georgetown Center for Children and Families. She says the Department of Health and Human Services' approval shows other Republican governors how much flexibility they have in experimenting with their own idea of how Medicaid could work in their state. ALKER: But there are lines they can't and will not cross. There will be charges for folks under the poverty level but they can't be dis-enrolled if they're unable to pay those premiums. And that's important because we already have plenty of evidence to suggest that charging premiums to people below poverty will mean that they can't afford them and they're likely to lose their coverage. MASTERS: Also, the Iowa plan limits the benefits for non-emergency medical transportation, which the feds require all Medicaid programs to cover. Alker says this is the first time she's seen such a limit like this in place. ALKER: They're covered for emergency transportation. They're going to get that ambulance to get to the hospital. But we want to make sure that folks are able to get to their preventative and primary care appointments. And when you're talking about somebody who has - literally could have no income, that becomes a real barrier. MASTERS: Alker says because not every state is expanding Medicaid, getting healthcare to the most vulnerable people in the country will depend on where they live. Governor Branstad is pleased with the federal government's decisions. And other Republican states are watching the Iowa decision, trying to figure out how far they can go taking federal Medicaid expansion money on their own terms. For NPR News, I'm Clay Masters in Des Moines. SIEGEL: And that story is part of a reporting partnership of NPR and Kaiser Health News. Transcript provided by NPR, Copyright NPR.